Sure you need protection against unsightly and costly sweat stains and odors, but did you know that there is a fashion consideration implicit with your decision as to which dress shields to buy? 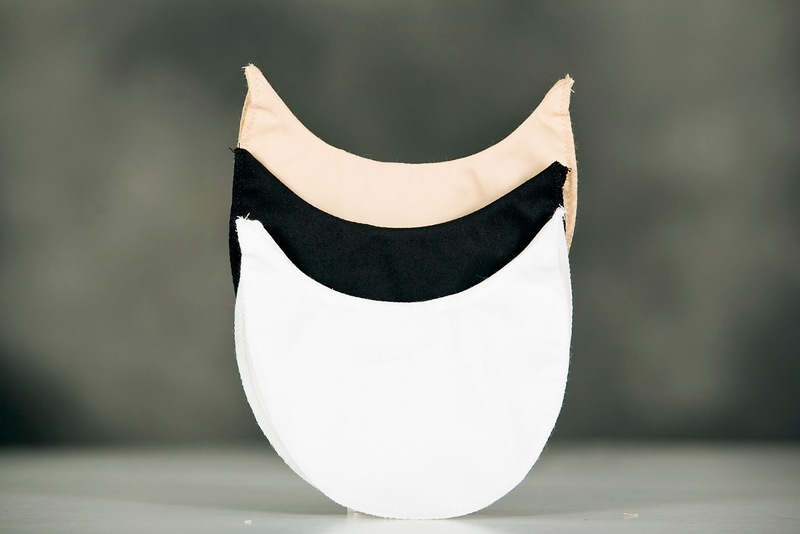 We produce a wide variety of washable armpit pads or dress shields. We make three colors including white, beige and black. Plus, we make regular and short sleeve lengths plus sleeveless products to meet your fashion needs. We also produce different methods of application including tape-in, sew-in, pin-in and snap-on. We know that one size does not fit all and therefore make the world’s largest and best array of products. Our reusable washable armpit pads are constructed in one of two ways; for the light-moderate sweating individual or the person only concerned with odor we have the Fabrapel style shields. These shields are light weight, make no noise and are totally comfortable to wear. The patented Fabrapel is a special treatment we apply to the outer cotton/poly layer to prevent fluid from going thru but offering the utmost in comfort. The other style shield is constructed with two layers of cotton but with a waterproof middle layer comprised of wither Duralite or vinyl which guarantees that fluid cannot pass through. Our armpit shields are used year after year by the performing arts trade including virtually all of New York’s broadway and Hollywood’s movie studios as well as national ballet companies, Disneyland Resorts, The West Point Cadets in West Point, NY., community choirs, famous actors for tv shows and many more.